Last week, we had a rare winter week with four days of temperatures in the mid-40’s. The week before and this week were more normal for this winter – hovering somewhere between 4 and 30 degrees. When you have had weeks upon weeks of cold, windy, gray weather (combined with being stuck in the house with 2 hyper children for repeated snow days), 45 degrees feels like a heat wave. Add in some sun, and you might just close your eyes and imagine that Spring has arrived. So last week, I found myself in such a situation. Running shoes pounding the pavement, sun on my face, a good beat in my ears, and I was in heaven. I managed to repeat this process twice during the 4 days, setting a new personal time in the process. Life is challenging sometimes. There are things you want to do and things you want to accomplish, and frequently what you have to do gets in the way. You’re dying to write down that new story in your head. You’re almost done with a major revision and you just need a few more hours. You want to get your novel out to agents, and you need time to get the synopsis right. So I’m trying out a new mantra. Do your best with what you have. This could apply to time, money, weather, or effort. Was it the perfect running weather last week? No – it was still a little icy and I’d rather run in shorts. But it was so much better than it could have been in the middle of the winter, I enjoyed every minute of it. Did I have time to completely finish my synopsis earlier this week? No – other deadlines took most of my time, but I did squeeze out an hour to dictate the story. And any day where I can write is so much better than working a 12 hour day in a corporate office. So rather than feeling inadequate, or self-critical, or disappointed, I choose to make the most of what lies before me. Don’t get me wrong – some days I just end up mad at myself for what is left undone. But for this one moment, I choose to be content. And look forward to the day when I can again feel the pavement beneath my feet and the sun on my face. How We Discovered This Book: My son chose this book during media class, and brought it home from the school library. 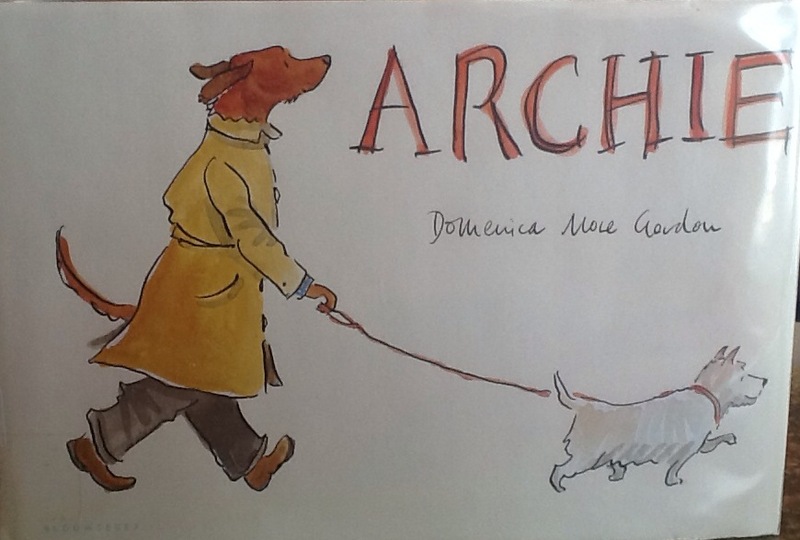 Archie decides to make his dog some new clothes. Soon, they are the talk of the neighborhood and everyone wants cute clothes for their dogs too. This book is wordless, which is not usually the type of picture book I gravitate towards. However, the story flows along nicely without the words, and my kids could follow along without any explaining from me. The illustrations are charming and minimal. There are no existing resources for this book, so I’ll get a little creative this time. The author is an artist known for her miniature felt dogs. Check out a story here about her dogs and the inspiration for the story. There is another Archie book, Archie’s Vacation, which we have not yet read. If you have dogs in your life, maybe you think they need some cuter clothes themselves? There are plenty of instructions on pet clothing and other related projects. Maybe you really like the illustrations, and would like to try your hand at drawing a dog. Happy Valentine’s Day to all of our readers, however you celebrate it. 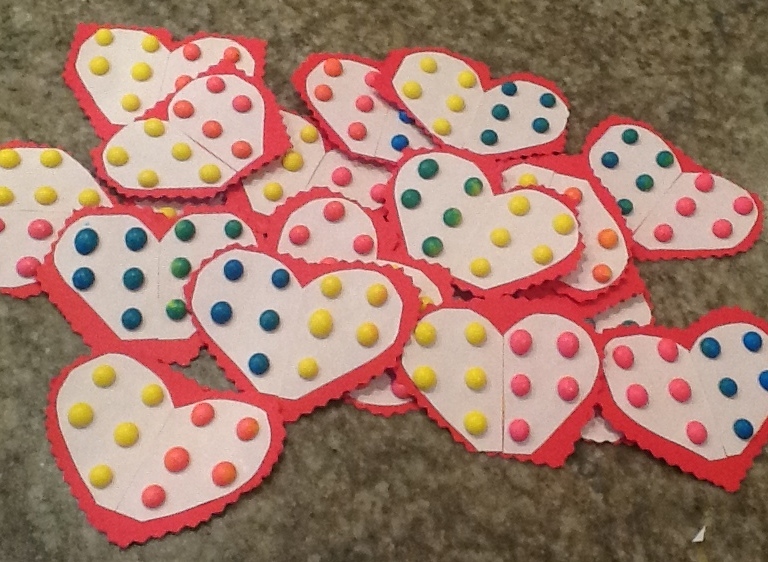 I have young children, so in my house it means making valentines for each of their school friends. My son has a “special friend” in his class, so we had to make a special valentine for her (oh boy). Since this is the day of love, take a minute to think about what you love. Your family, your children, your friends, your pets? Take it a step further beyond the people/animals you love, and think about what you love to do. Do you love to write? Garden? Read a good novel? Bake? Exercise? Help others? Whatever you feel about Valentine’s Day as a commercial holiday, approach the day with a different mindset. Spend the day in service to what and who you love. Sit down and finish reading that novel. Bake some cookies. Call that friend and tell you miss her. 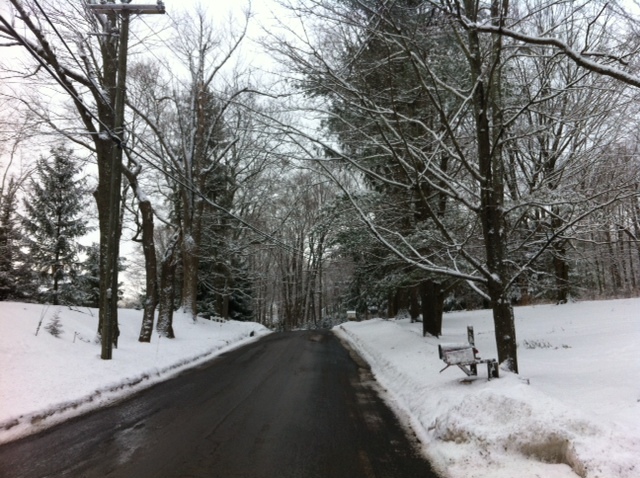 I got a jump on the holiday here yesterday, spending a snow day warm and cozy in the house with my kids. We did crafts, we read, made cookies, and played games. I made sure there were plenty of warm hugs and kisses involved. Last night I finished a Terry Pratchett novel I’ve been longing to read. Unfortunately, there will be no gardening here for me right now, since my garden is hidden under over a foot of snow. Today I’m going to try to reach as many of my loved ones as possible. Even if it’s only to leave a message letting them know I’m thinking of them. Best wishes to you for a Happy Valentine’s Day, however you choose to spend it.